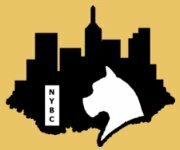 NEW YORK BOXER CLUB, INC. The meetings of the Club shall be held six (6) times a year in the Greater Westchester Area on the first Wednesday of the following months, beginning with the month of February, April, June, August, October and December. 2019 dates are February 6th, April 3rd, June 5th, August 7th, October 2nd and December 4th.